Idaho Falls Excavation services for residential and commercial projects - Excavation Idaho Falls. We serve all East Idaho and Jackson, WY. Well equipped and experienced for any type of Idaho Falls demolition work and removal. Demolition Idaho Falls, and all East Idaho & Jackson, WY. Quality Idaho Falls landscape installation. Providing the best residential and commercial landscaping service in Idaho Falls, East Idaho, & Jackson, WY. 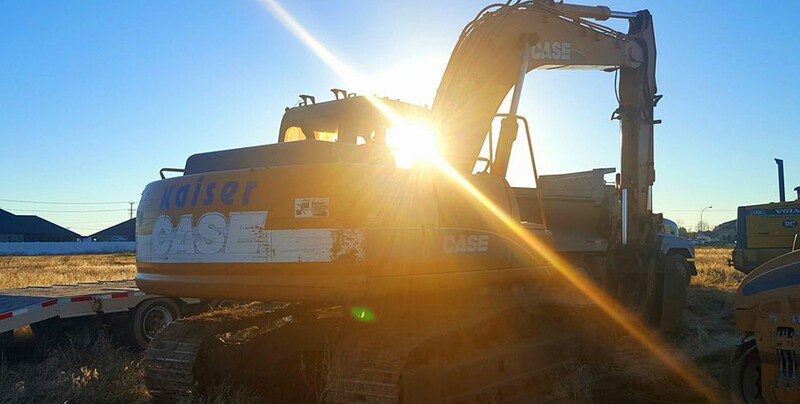 Our specialized equipment for Idaho Falls grading provides the most accurate concrete sub-grade preparation available. Grading Idaho Falls, East Idaho, & Jackson. Providing these services Mulching / Land Clearing Survey / Recreational Trail Construction and more. Tree removal Idaho Falls, East Idaho & Jackson, WY. Idaho Falls Snow Removal -K-TERRA is equipped with a large commercial rotary snow blower. Snow Removal Idaho Falls, East Idaho & Jackson, WY. See what K-TERRA is working on now. See what K-TERRA has completed. “Thanks Shane! You do great work, we’ll definitely call when we need more work done.” —Dorilee Z. “We so do appreciate your quality work and the result of what you did we are very pleased with. You will be mentioned to our friends and people who are looking to improve their landscapes. Thank you, again and we wish you health and prosperity in your business.” —Deon B.